ACCEPTING APPLICATIONS BEGINNING AUG 1. The mission of the Trust is to meet the financial need of all applicants while preserving one of the great traditions of the game. Current monetary awards range from $1,000 to $10,000 per academic year for both undergraduate students. Graduate students are also eligible for grants. You must be a senior in high school or already enrolled in college, be academically qualified and currently serve as a caddie at a Member Club of the Golf Association of Philadelphia (minimum of one full season of caddying required at time of application). We encourage all caddies to apply. We want to give all interested golfers the best chance we can to earn a scholarship. To help you apply, follow the step-by-step guide. CARRYING THE ONES WHO CARRY THE BAGS. Thirty-six schools have generously agreed to match up to a specific amount of our Platt Caddie Scholarships to assist students in meeting their financial needs. As a result of the program, Platt Scholars are being awarded an additional $63,000 from their academic institutions in the 2018-19 academic year. PICKING UP THE BAG CAN TAKE YOU PLACES. There are certain things you learn as a caddie. Some of them are about the game of golf. Many more of them are life lessons. Platt Caddie Scholarships are based on financial need. Current monetary awards range from $1,000 to $10,000 per academic year for both undergraduate and graduate students. If it is determined that an applicant has no financial need, he or she will be admitted as an Honorary Caddie-Scholar. The mission of the Trust is to meet the financial need of all applicants while at the same time preserving one of the great traditions of the game. We encourage all caddies to apply. To apply, you must be a senior in high school, of already enrolled in college, be academically qualified and currently serve as a caddie at a Member Club of the Golf Association of Philadelphia (minimum of one full season of caddying required at time of application). 1 — Caddie at a club for a minimum of one season (two full seasons preferred). Your caddying record will be verified with your club’s caddiemaster. 2 — Complete the J. Wood Platt scholarship application, which you can find a link to below. This must be completed by Oct. 31. 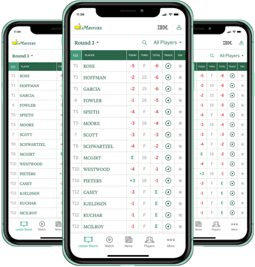 3 — Provide a letter of recommendation from your club’s caddiemaster, head professional, or a board member, attesting to your skills as a caddie (one page maximum). Letter must be received by Oct. 31. 4 — Provide a copy of your high school transcript, through the completion of your junior year, by Oct/ 31. If you are already enrolled in college, supply your most recent transcript, also by Oct. 31. 5 — Obtain a copy of your Student Aid Report, or FAFSA, which must include your EFC (Expected Family Contribution) score. You can access this here beginning Oct. 1. The Platt office must also receive this by Oct. 31. 6 — Schedule and attend an interview with members of the Platt’s Board of Trustees and the Platt Scholarship Director. These will be held in March 2019. 7 — Obtain a copy of what is commonly referred to as your School Award Letter and send it to the Platt offices. This is a listing of all grants, loans, and scholarships that you will receive in your upcoming college academic year. You can contact the Financial Aid department of the college or university you are attending, or will be attending, for a copy. This form must be received by the Platt office by May 15, 2019. 8 — The Platt will announce its grants for 2019-20 in June 2019. You will receive a letter from the Platt, mailed to your home address. Your college or university will then receive notice from the Platt, along with payment of your grant. PLEASE NOTE — You must be enrolled as a full-time student, seeking an undergraduate or graduate degree, to be eligible for a scholarship. In addition, if your parents are members at a private golf club you are not eligible for a scholarship and may not apply.